At Adelé, located in Chevy Chase, we offer a wide variety of custom window treatments from draperies, side panels, roman shades and more. Adelé proudly serves Lexington and Central Kentucky. We have been in business since 2011 and we are locally owned and operated. Our experienced consultants are experts in helping you with custom window treatments for your home, regardless of your style or budget. We will take the time to learn about your needs and offer a variety of solutions from which to choose. From simple to extraordinary, we do it all. We can outfit your home with custom window treatments that last. We carry an extensive product line from many of the top manufacturers. Adelé will come to your home and assist you in choosing from an extensive selection of custom window treatments with an almost endless collection of fabrics. The custom options coupled with the highest quality of fabrication make the perfect treatment for any window. Adelé also helps with difficult shaped windows, such as bay windows. Due to their shape, bay windows can sometimes be difficult. However, Adelé is able to design custom bay window treatments that match the style of your windows and home. With so many different types of custom window treatments available today, selecting the perfect option for your home is a challenge Adelé is eager to meet. We will gladly bring our products to you so you can see what they will look like in your home. In addition to choosing basic functionality and style, you have to consider the opaqueness, energy efficiency and installation techniques. Our custom window treatment experts at Adelé will work with you to narrow down your choices. Our ultimate goal is to help you make the best choices for your stylistic goals, functionality needs and budget requirements. The custom window treatment possibilities at Adelé are endless and we are here to help you every step of the way. Together, once we have selected the right window treatment for you, we will take all the measurements, place the orders and our talented team will get to work to ensure everything is made to your specifications. You will be impressed with the quality of work done in our local work rooms. From new construction to home renovation, Adelé can help you find a solution that you will be happy with for years to come. We will also provide installation of the custom window treatments that you choose. Our superior customer service at Adelé means that we will be there for you long after the sale. We believe in the beauty of well-designed custom window treatments and in the importance of loving where you live. We also believe that high quality goes hand-in-hand with amazing style. Our mission at Adelé is to provide the best values on the market. 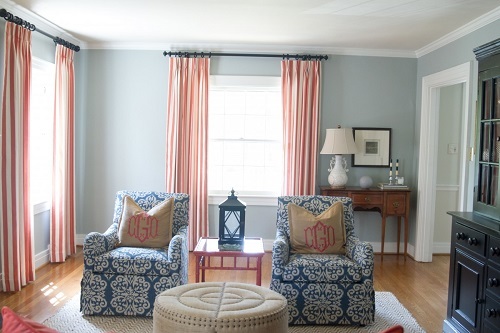 Our customers return to us because we offer custom window treatments in Lexington, Kentucky that are gorgeous as well as enduring and we treat every job with the utmost care. Beautiful window treatments from Adelé truly transform the look and feel of your home. Whether it’s a colorful roman shade or neutral fabric panels, our custom window treatments are crafted to live on in your home for years to come. And our professional installation is second to none. When it comes to the highest quality custom window treatments and expert installation in Lexington, Kentucky, Adelé will assist you in fulfilling your vision. We listen to your wants and needs, offer professional advice and service, provide the quality and value that you are looking for and we leave you breathless with the final result.